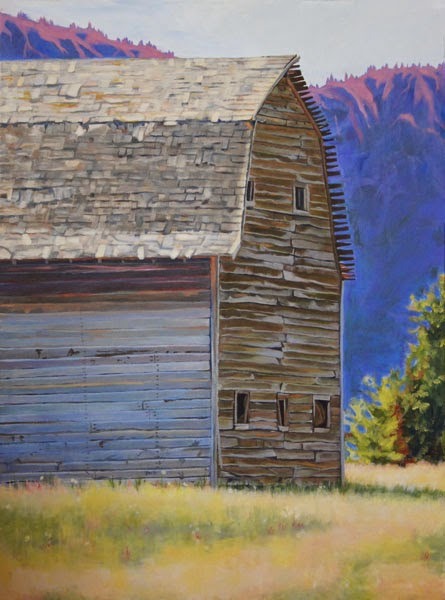 Two months ago I challenged myself to paint 30 paintings in 30 days which was both hard work and a blast! But since then I have been playing "catch up". 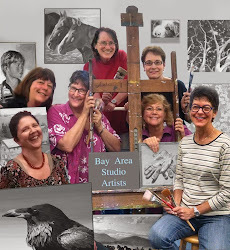 I have been working on several large new pieces to submit for a couple of upcoming juried shows. 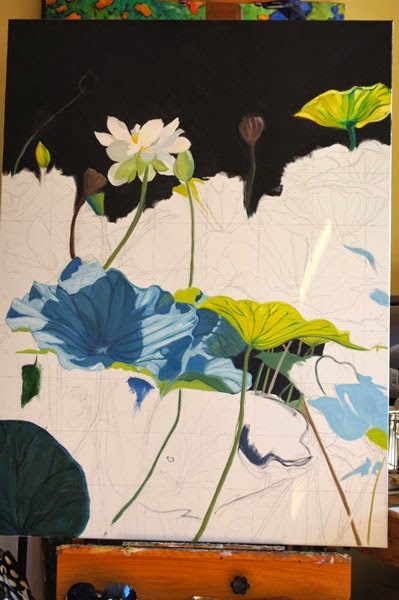 My lotus painting in progress. This is being done from a photo that I took at the Plum Village Buddhist Hamlet in France. 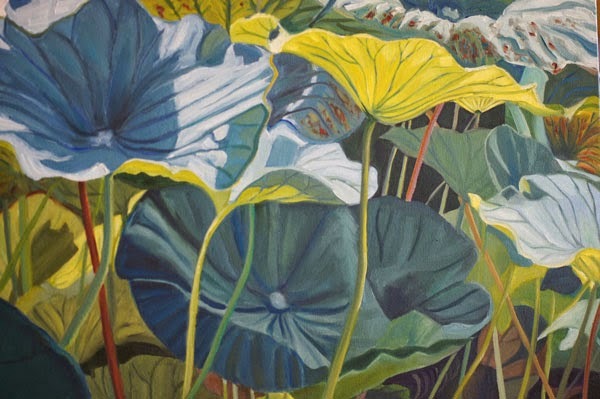 The line work in the stems and leaf veins as well as the interplay of the leaves tipping toward the sunshine is so much fun to paint. 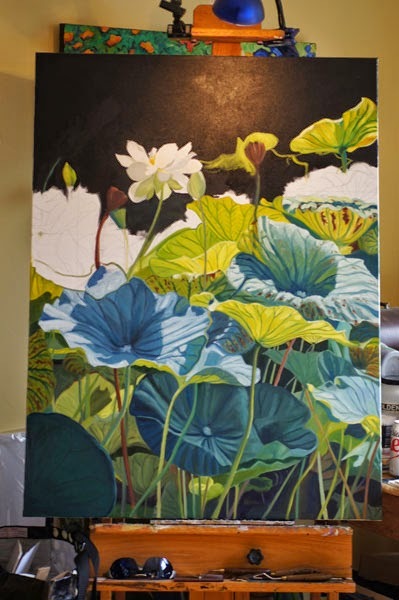 I just need to add a few more "seed pods" and change the background color and it will be ready. 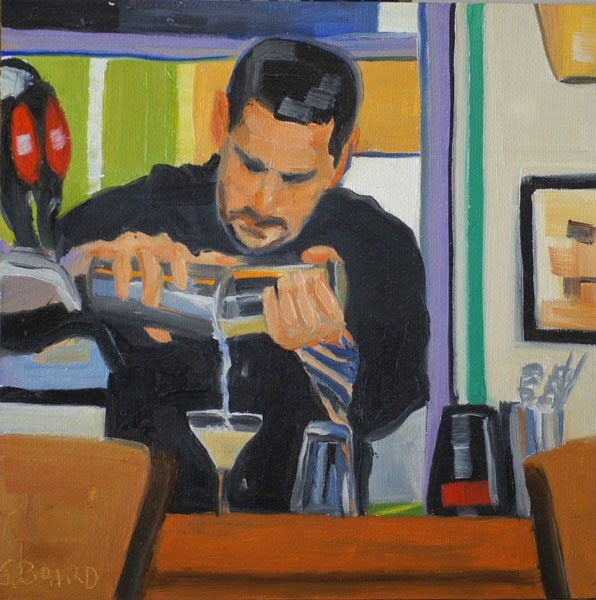 I also did several bar scenes just for fun. The painting above was from the Beach Chalet in San Francisco and I was trying for big abstract shapes. 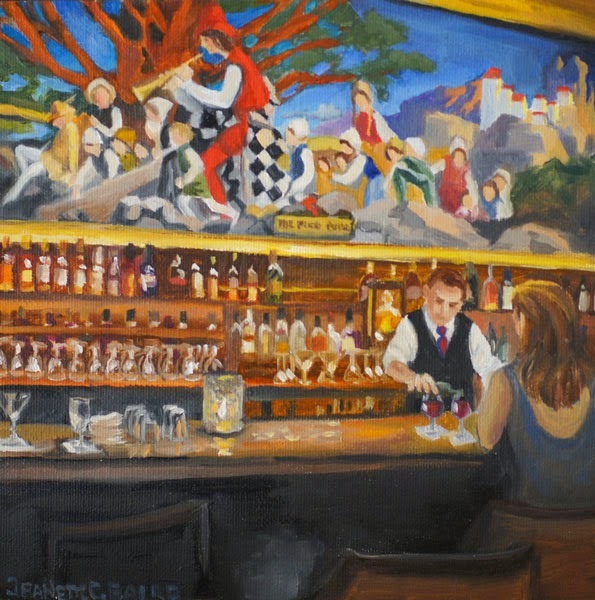 I also did a painting of "The Pied Piper Bar" which is located in San Francisco's Palace Hotel. 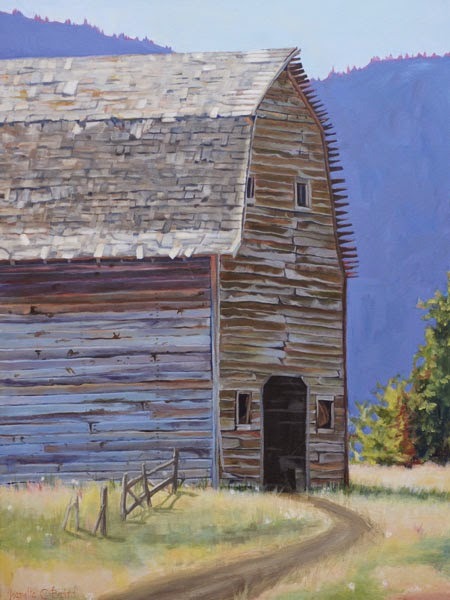 I reworked an old barn painting that always bothered me. I think it was because it didn't have a door from this viewpoint, nor any sign of life. It was making me feel claustrophobic every time I looked at it so into storage it went. Until yesterday when I added a door, path & old fencing as well as lightening up the mountain. I may fuss with it some more but I like it much better now. I also have been working on two commissions. 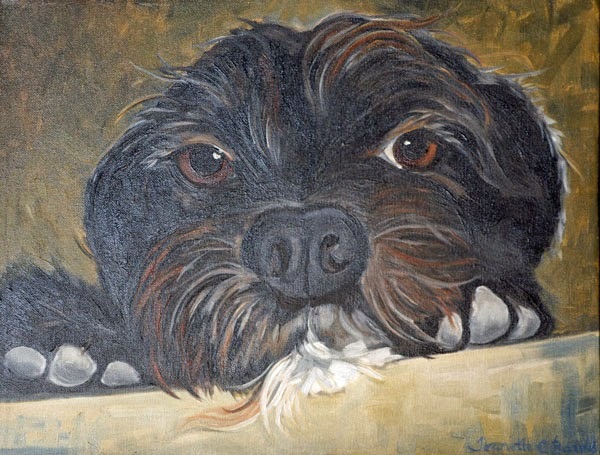 Little Gemma was a joy to paint and today I got to meet her and her owner. Both were a delight!